1,436 sq ft - MLS# 1622076 Courtesy of Shorewest Realtors, Inc.
Rare offering! This first floor condo features a bright, airy split bedroom floor plan and open concept living. 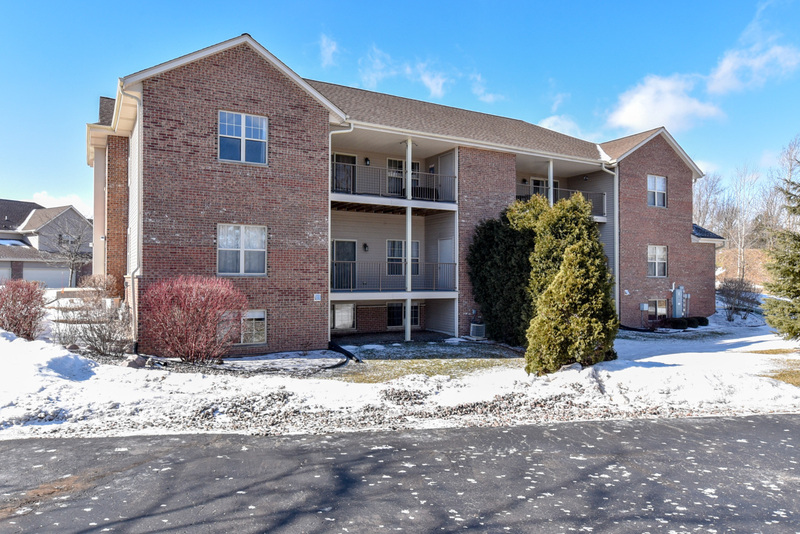 Enjoy the high ceilings and newer carpeting which make this a truly move-in ready condo. Lower level boasts large egress windows and is plumbed for a full bath, offering the potential for adding more living space in the future. In the meantime, the huge lower level affords ample storage! A large balcony off the main living area overlooks the private grassy common area. This lovely community also has manicured walking paths on the property to enjoy nature. Come see all this affordable condo has to offer!